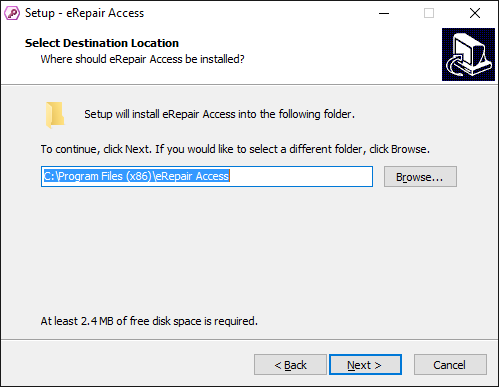 ﻿ How to repair MS Access database after damage? eRepair Access (Download) is a powerful Access database recovery solution for damaged *.mdb and *.accdb files. 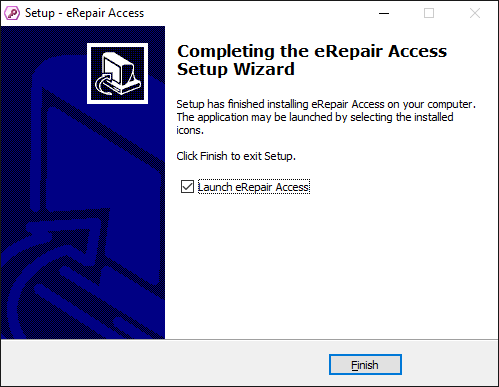 eRepair Access is intended for a very wide audience, which means that nearly anyone can use it to restore data from corrupt Access database files. 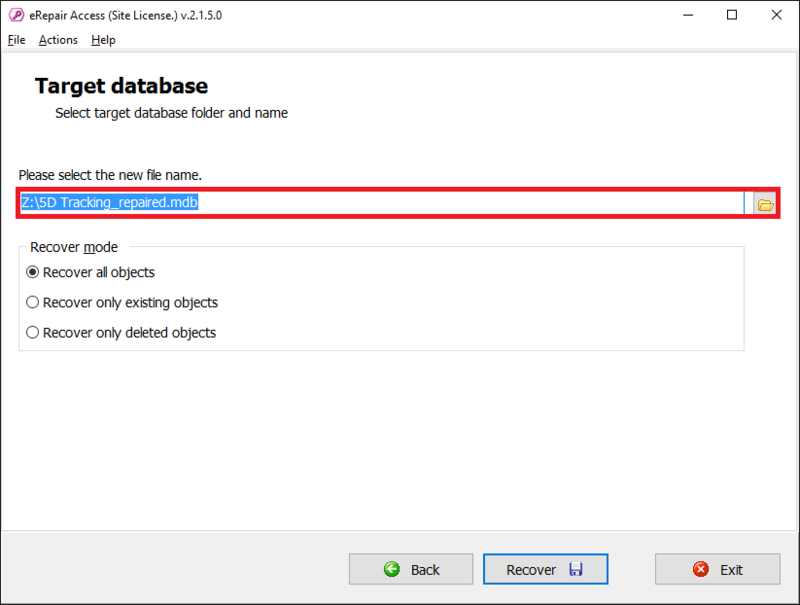 The simple, straightforward wizard-based interface takes just a few minutes to get used to, while the duration of the database recovery process generally depends on the size of the Access database file and the speed of your computer. 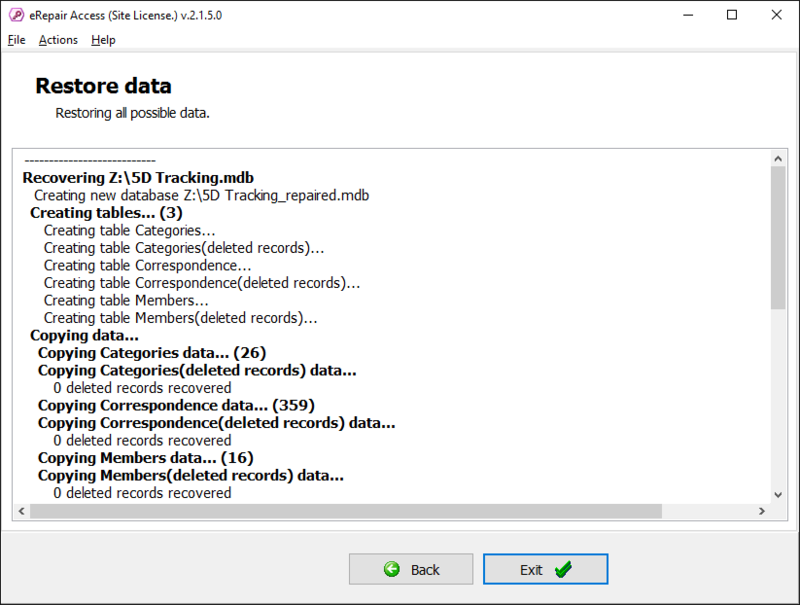 Initial analysis of the damaged Access file and raw-data extraction. 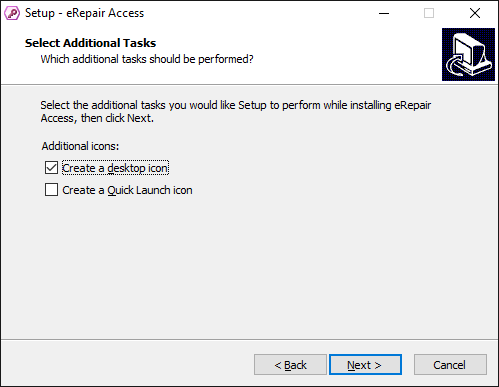 At this stage, eRepair Access checks what database objects and data can be recovered and extracts user and system tables. It also extracts information about stored queries and relationships between tables. Deep data analysis and restoration. 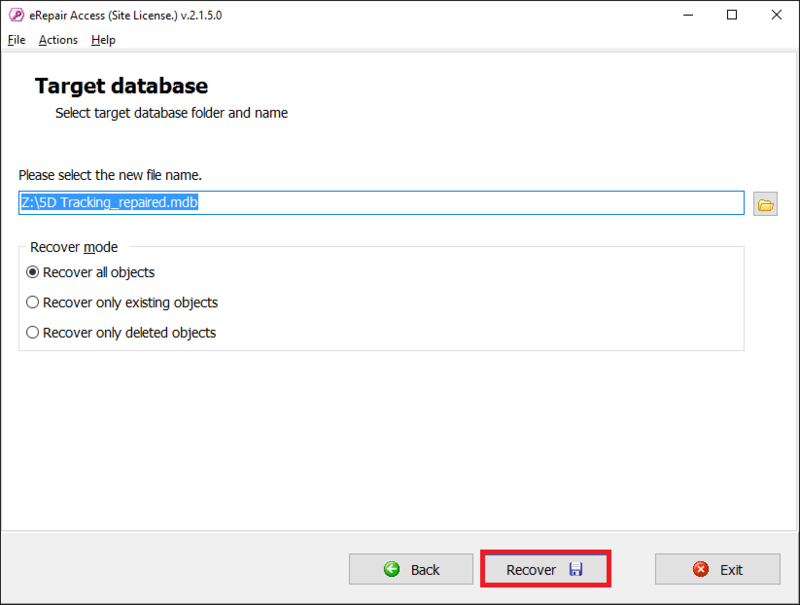 At this stage, the Access database repair software uses the data recovered at the previous stage to accurately restore the structure of tables, including indices, field types and names. It is also when all relationships between tables and queries are restored, including query-related information such as various conditions and relations. Additionally, the MDB repair program runs a thorough integrity check and logs any errors or inconsistencies it detects. Data saving. This is the final step of the .mdb / .accdb recovery process. 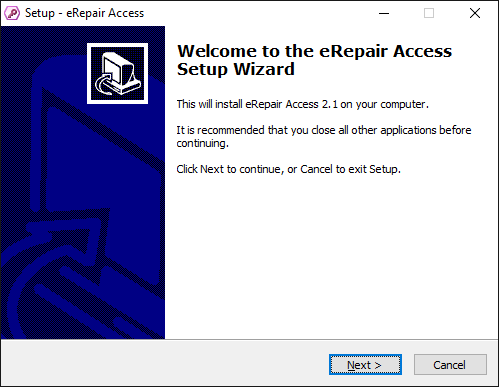 eRepair Access saves the restored Access database structures and data to a file specified by the user. The corrupted structures in the original .mdb or .accdb file are not copied to the output file. 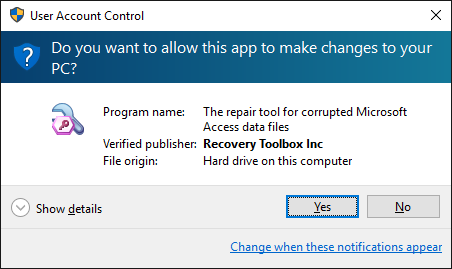 The input Access file is not modified in any way, so the user can use it again to recover data using alternative methods or tools. The software will not help recover data from encrypted files. The software requires Microsoft Windows 98/2000/XP/2003/Vista/7/8/10. Microsoft Access must be installed. 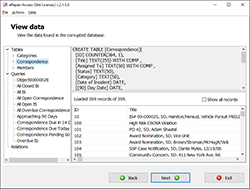 The Microsoft Jet database engine could not find the object databases. Make sure the object exists and that you spell its name and path name correctly. 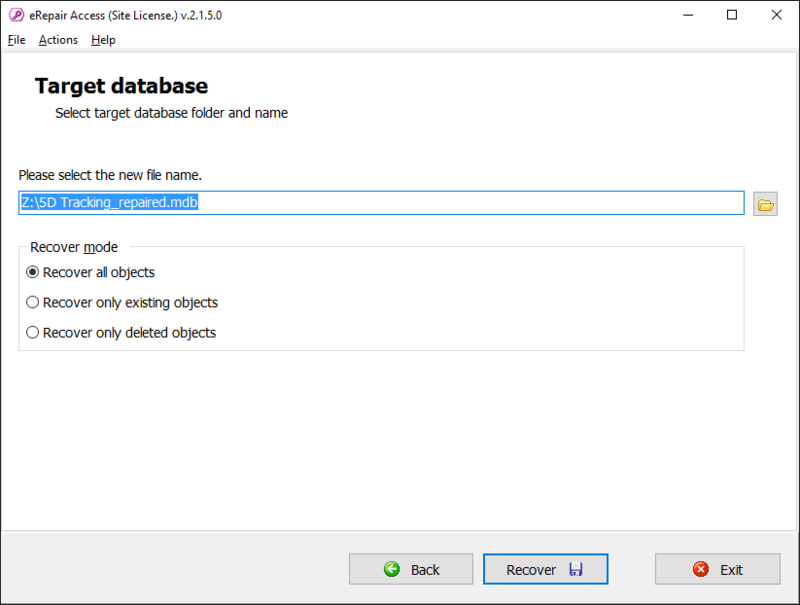 The Microsoft Jet database engine could not find the object filename. Make sure the object exists and that you spell its name and the path name correctly. 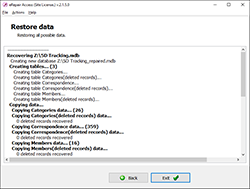 The Microsoft Jet Database Engine could not find object Msys*/databases. Make sure the object exists and that you spell its name correctly and the path name correctly. This database is in an unexpected state; Microsoft Access cant open it. 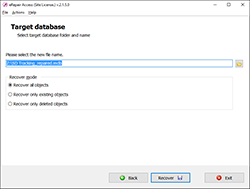 The Microsoft Jet database engine cannot find the input table or query MSysAccessObjects. Make sure it exists and that its name is spelled correctly. - 3078. How to fix a corrupted Microsoft Access database? eRepair Access can recover tables, view and queries from damaged .mdb, .accdb files in just a few clicks. 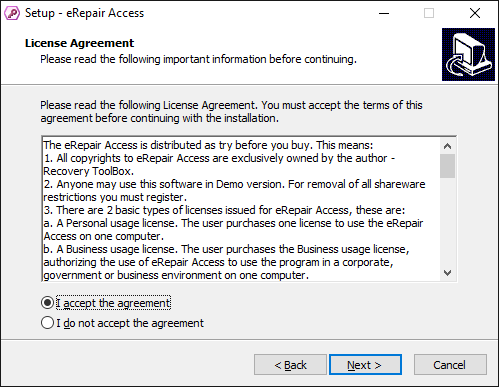 eRepair does not decrypt encrypted Microsoft SQL Server databases, Access, Word, Lotus Notes Database, and so on. 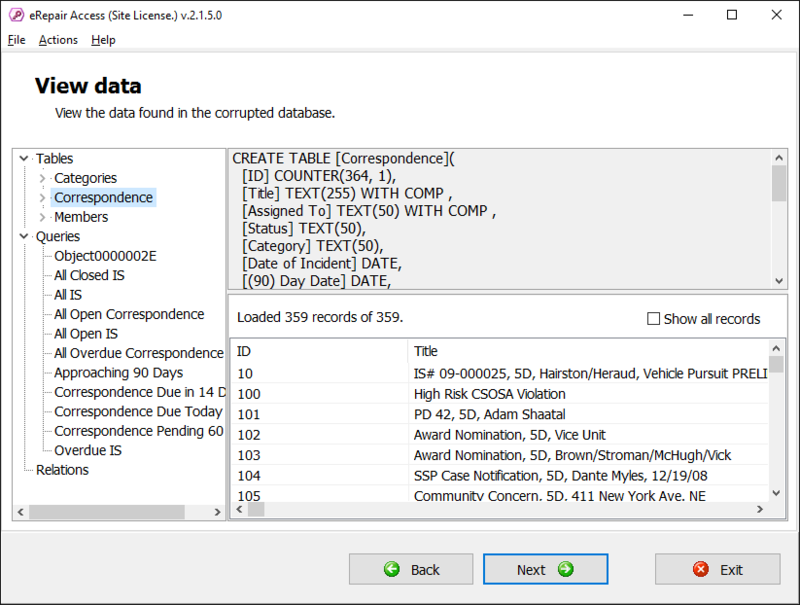 Furthermore, clients are clearly informed not to use the software in case of the emergence of a message like This database has local access protection and you are not authorized to access it locally. This information is clearly mentioned on all the product websites of this software. Therefore, the refund requests in this case are not valid.